In the story, terrorists invade a dignitary's party and hold the people in the house captive. 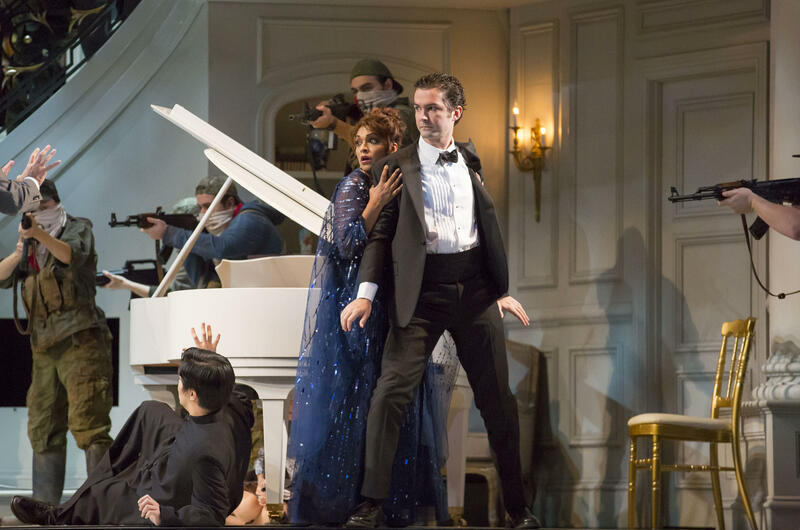 Soprano Danielle de Niese plays Roxane Cass, the opera singer who is held hostage, shown here with tenor John Irvin. As the terrorists and hostages wait for a response from outside, they build relationships with each other through music. 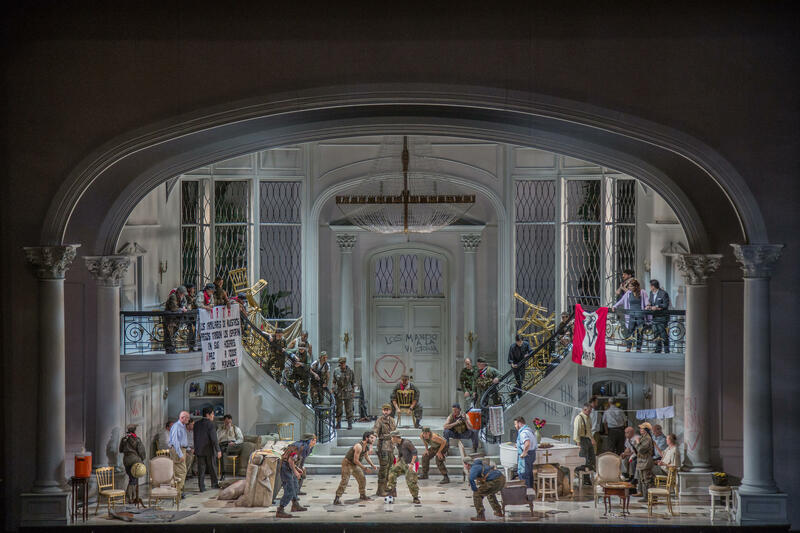 Lyric Opera commissioned the opera about five years ago. It had its world premiere in early December 2015. Some authors hope to get their books turned into movies. After all, it comes with a lot of publicity and a big paycheck. 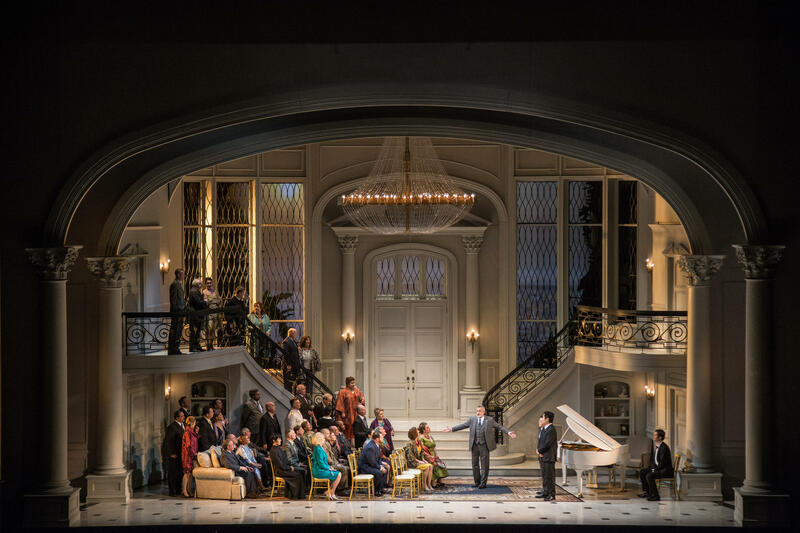 But a book by Nashville award-winning author Ann Patchett had its world premiere this month in a different form — as an opera. 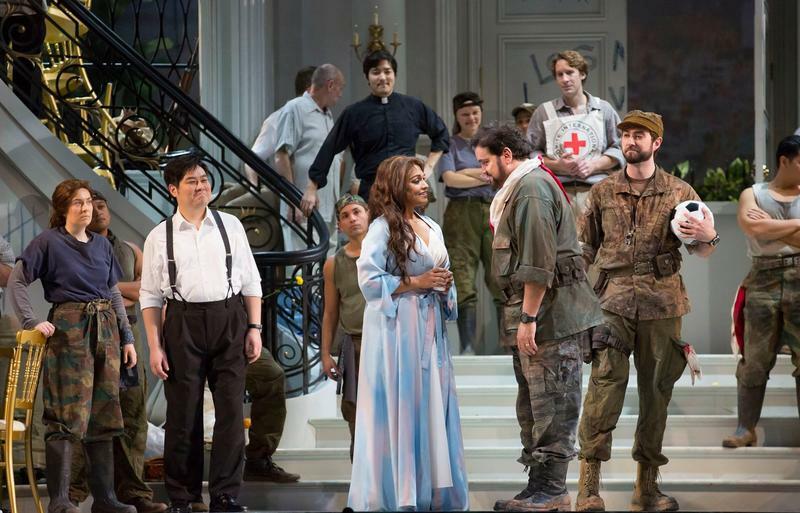 Considering the storyline of the 2001 novel Bel Canto, it makes sense: The book is about an opera singer, one who’s held captive by terrorists for several months. It’s loosely based on a real hostage situation in Peru in the mid-1990s. The singer and other hostages build relationships with each other and with their captors, in part through music. Ann Patchett wasn't involved in the creation of the opera. ("If somebody else does a project of one of my books, it's their project. It's not mine," she said.) But she saw her book-turned-opera performed at its debut in Chicago, and she said the adaptation was almost poetic. "It was better than the book," she said. "You know, you're really crystallizing the experience. It's like you’re pulling all the water out, and you're just leaving the most important elements." This wasn't the first time Patchett had been approached about adapting Bel Canto into something else. "It has almost been a movie so many times [that] I can't even count," she said. Someone even purchased the movie rights, which means it could likely become a film one day. Patchett said she also got interest from some big-name Broadway composers and another opera company, but nothing panned out. Then, Renee Fleming told Patchett she wanted to work with the novel. Fleming is an international opera star who works as a creative consultant at Lyric Opera of Chicago. 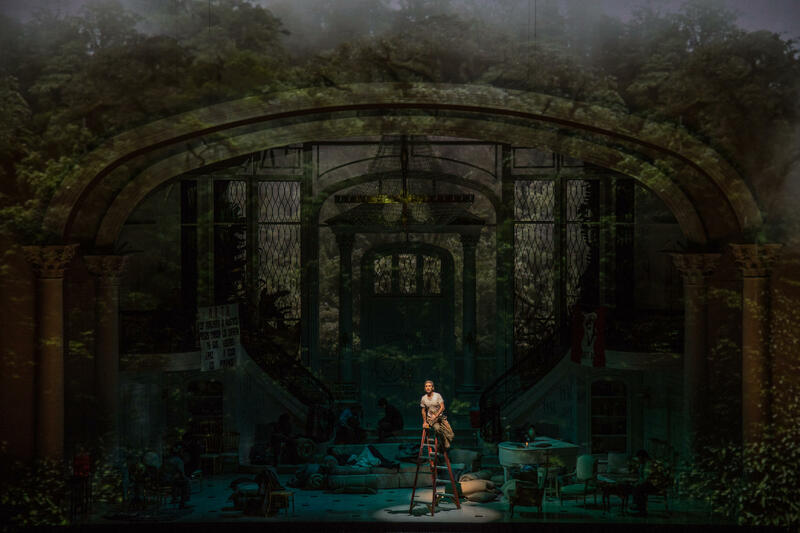 "It's fallen through so many times that when the Chicago Lyric decided to commission, to try to do an opera, I was like, 'Yeah, sure, whatever.' And then I promptly forgot about it," Patchett says. Of course, for the opera company, this is when the real work began: Creating a brand new opera is a big endeavor. “Commissioning a large-scale new opera is the highest-risk undertaking that a company can contemplate,” said Anthony Freud, general director of Lyric Opera. A company has to pay for all of the things in a normal production, including the cast, orchestra, scenery and director. Plus, it has to pay for the novel's opera rights and hire a composer and librettist to write the music and lyrics. And it's hoping that audience members will pay to see a show they’ve never heard of. "Generally speaking, newly created operas do not generate strong box office [sales]," Freud said. "One of the fantastic aspects of Bel Canto is that all of the performances are more or less sold out." It helps that Patchett is a well known author, and that the topic of terrorism is especially relevant — something the opera company hadn't anticipated when it bought the rights five years ago. "Every major opera company, I believe, has the responsibility to preserve the vitality of the art form, and that's something that only really can be done by a commitment to commissioning new work," he said. The production runs in Chicago through the middle of January. An opera based on a 2001 novel by Nashville award-winning author Ann Patchett debuted this week in Chicago. 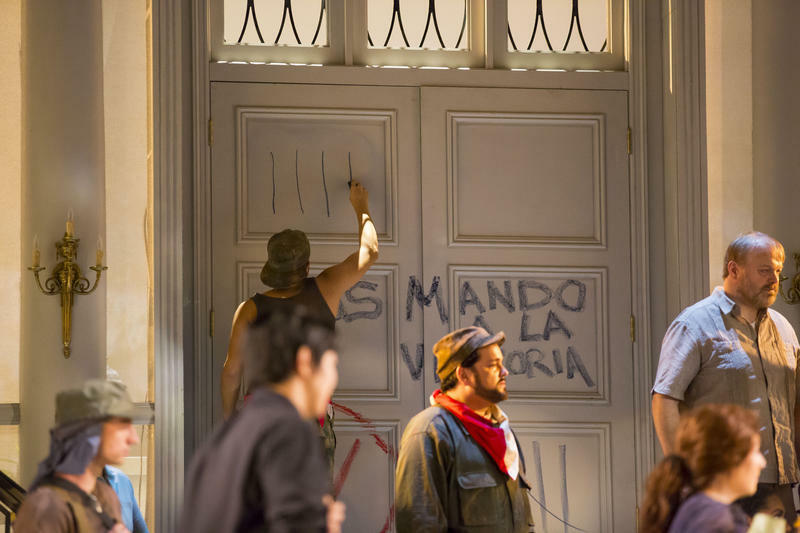 The musical version of Bel Canto, which is loosely based on a hostage situation in Peru’s capital in the '90s, was commissioned by the Lyric Opera of Chicago. Because this story is about music, we recommend playing the radio version. 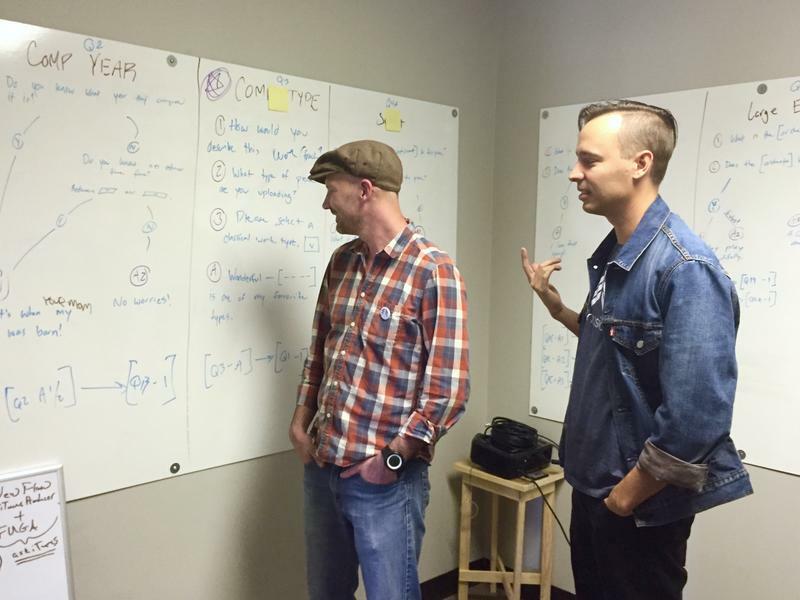 A Nashville technology startup thinks it can help classical music flourish in the digital age. Right now, flourish is not the word most people would use to describe the genre. Classical music only makes up 2.1 percent of all album sales and less than half a percent of all streams online, according to Nielsen data. But the founders of Dart Music say there's no lack of modern musicians and composers. The problem, they say, is that those artists have extra barriers to selling their music online, barriers that Dart is trying to break down.